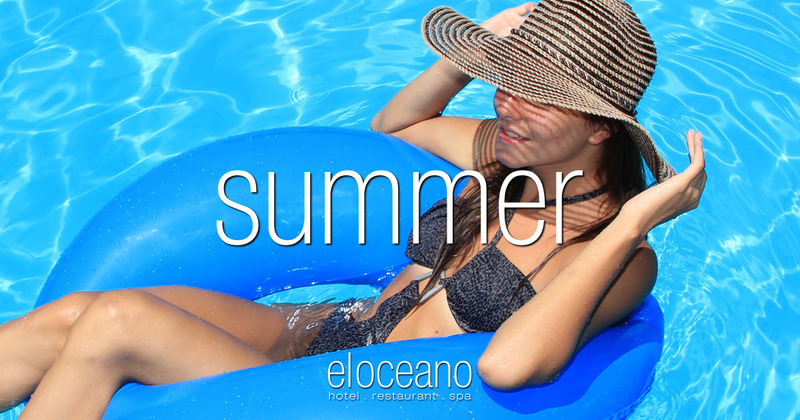 Summer at El Oceano Luxury Beach Hotel. The only place to be! Summer at El Oceano. Luxury summer holidays in Spain just don’t get any better than those at El Oceano Luxury Beach Hotel. An elegant, boutique-style hotel with 50 beautiful rooms & suites, an exemplary restaurant and VIP Sunbed terrace on Spain’s wonderful Costa del Sol. 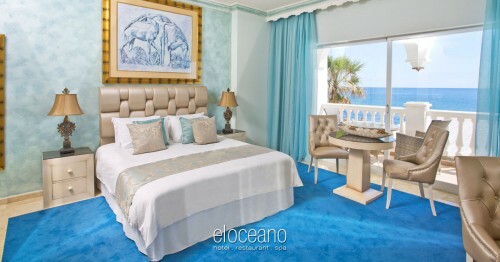 The El Oceano Luxury Experience is one that will stay with you for a long time! 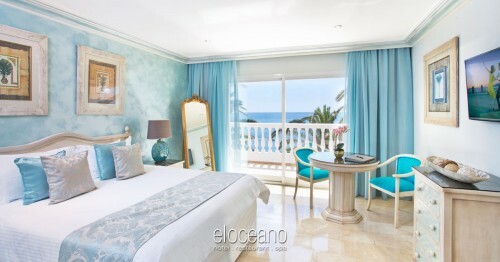 We all know summer is a time of sunshine, beaches and cool cocktails, but if you’re looking for a truly different summer holiday experience, El Oceano Hotel is just what you’re looking for!! Our hotel is a unique, boutique hotel on Spain’s wonderful Costa del Sol. Family owned and run (you’ll see the owners chatting with guests in the restaurant most evenings), El Oceano has 50 impeccable luxury rooms and suites to suit any luxury expectation! 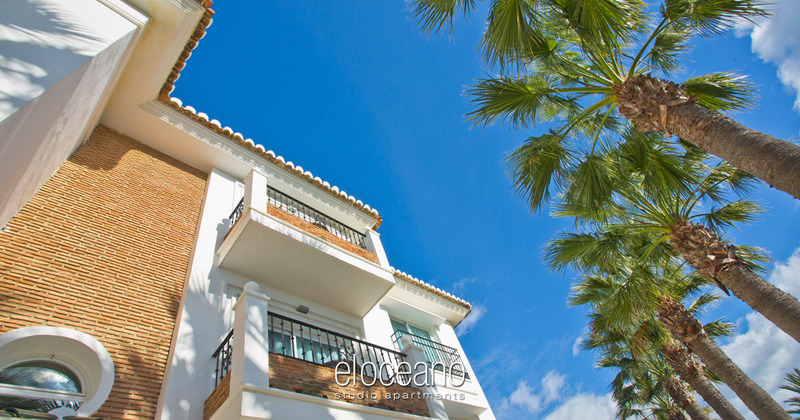 If you’re new to El Oceano, we would love to show you around! Please take a look around our website, the photos you see are 100% representative of our accommodation, our Facebook Page ad Google Business are full of very kind and positive comments and we’re sure we have a very special hotel and restaurant – one you will like! 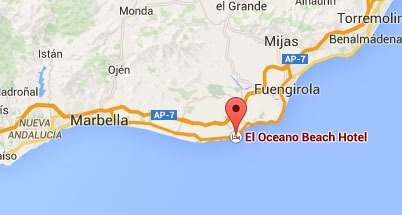 Situated right on the beach on Spain’s beautiful Mijas Costa, El Oceano Hotel and Restaurant is a rare and genuine touch of elegant luxury! We are different, we are a little special! Our beach hotel big enough to be professional, but small enough to be intimate and personal and offers a perfect blend of warm hospitality, modern amenities, subtle luxury and impeccable service. From our very affordable Double Suites, right up to the breath-taking Penthouse Apartments, our hotel really will impress you. We have a number of accommodation options to suit everyone! Our Feature Bath Suites will add a touch of romance to any holiday, our self-catering Studio Apartments are ideal for those looking for a little more privacy, the Ocean Front Mini Suites have stunning sea views and – perhaps best of all – our ‘flagship’ Penthouse Apartments have to be seen to be believed!! Four incredible suites above the main hotel, overlooking the terrace and the best views in the house!! We really are a luxury holiday destination. You will see that immediately you step in to any of our rooms or suites. We know you expect a high standard of accommodation, and that’s precisely what we deliver! Elegant, contemporary, stylish decoration in all our themed – and yet distinctly individual – suites is a clear sign of our attention to high quality standards. We say ‘beach hotel’ because we are right on the beach! From most rooms and suites, you will have stunning and unspoiled views, right over the sea. 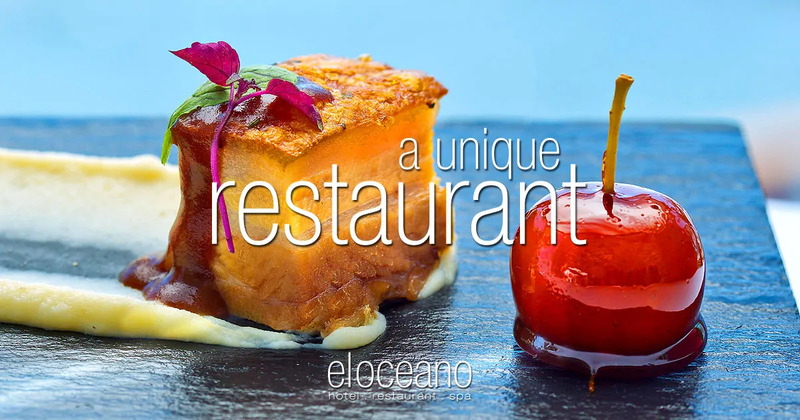 A five-star restaurant with utterly spectacular ocean views, El Oceano restaurant has a long-standing reputation of quality – in our carefully crafted menus, our attention to detail and the level of professionalism of our serving teams! With breath-taking views from our three stunning dining areas – The Ocean Room, The Veranda and The Terrace – you will feel like you are on the deck of a ship as you enjoy some of the finest cuisine on the Costa del Sol. But it isn’t just the menus… almost every evening we host some of the best live music acts, both from Spain and all over Europe. 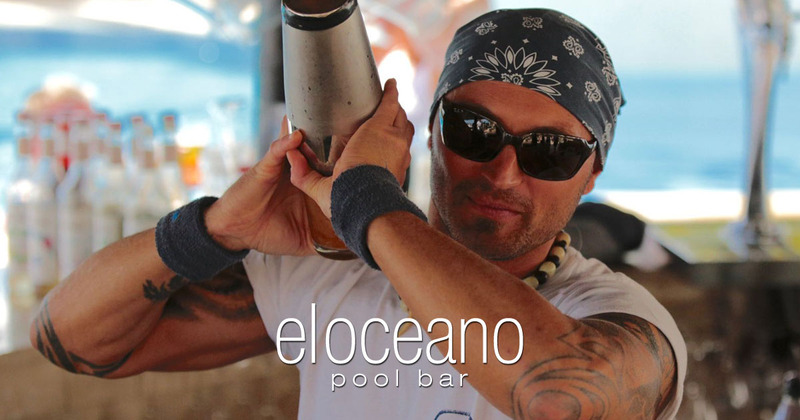 From gentle dining music while you eat, to ‘full-on’ party evenings with our many regular and guest acts, entertainment at El Oceano is just perfect!! You will find entertainment in the main restaurant most evenings and – on selected days – outside on the terrace, too! Our regulars, Johnny on the piano, Quike on electric violin, Ruben on trumpet or the other many talented acts we reserve every year, becasue we know just how good they are and how well our regular guests enjoy them! Our high quality chefs and sommeliers will take you away on a culinary journey you won’t forget!! Eating at El Oceano is very special! Right next to the beach, our sunny, south-facing terrace is, quite simply, the place to be this Summer!! Reserve a VIP Sunbed and enjoy a truly Awesome Afternoon of cool cocktails, personal waiter service and lots of sunshine! Our beautiful Polynesian-style, swim-up Pool Bar is always ready with an ice-cold bottle of champagne or a outstanding cocktail, as you enjoy the pool, or relax on your private sunbed. We don’t call them ‘Awesome Afternoons’ for nothing. Afternoons at El Oceano really are awesome! We pay attention to every detail at El Oceano. The rooms and suites are decorated and equipped with all the extras you might expect from a genuine luxury hotel. The restaurant menus are a real treat for your culinary senses and, perhaps best of all, our teams on Reception, in the hotel, restaurant and Pool Bar are will be the most helpful, most professional you will find! We understand our guests need attention, but we appreciate they also need a little privacy. We’re all about the ‘experience’ at El Oceano! You will know the moment you step in to the hotel that you are somewhere a little different, a little special! We also know that when you leave, you’ll want to return! We are very proud of our hotel and the level of service and quality we have managed to achieve. We think you’ll think so too!